Arizona continues to appeal Governor Jan Brewer’s denial of drivers licenses for DREAMers eligible under the federal Deferred Action for Childhood Arrivals (DACA) program, after losing in federal court. Arizona was in front of the Ninth Circuit Court of Appeals last week, and Judge Harry Pregerson reached his limit with the state of Arizona. Federal appellate judges grilled an attorney for the state Thursday over Arizona’s efforts to deny licenses to “dreamers,” with one suggesting it was nothing short of racism. Judge Harry Pregerson pointed out that those in the federal Deferred Action for Childhood Arrivals program have been driving legally since a trial judge ordered the state to reverse its ban and begin issuing them licenses in December. “We know — at least I know — that no horrible thing has happened on the highways of Arizona since this went into effect,” he said during arguments here. 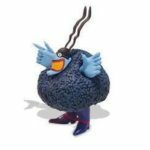 He then addressed Assistant Attorney General Dominic Draye, who was asking the 9th U.S. Circuit Court of Appeals to reverse what the trial judge had ordered. That suggestion left Draye confounded. “Judge, I wish you wouldn’t say things like that,” he responded. Oooh, Dude, you’re just asking for it! Pregerson would not back down. “I’m saying it because it’s the truth,” the judge said. Draye hopes to convince the appellate judges that the 2012 decision by the Obama administration to create the program does not trump a 1996 state law which says licenses are available only to those whose presence in the country is “authorized by federal law.” And he said DACA does not qualify. But the appellate judges weren’t buying the argument. Judge Marsha Berzon pointed out that Draye wasn’t asking the appellate judges to void DACA, or even to rule that the Obama administration acted illegally. Instead, she said, Draye wants federal courts to decide that state Transportation Director John Halikowski can unilaterally decide who is “authorized by federal law” to be in the country and therefore ineligible to be licensed. Hanging in the balance is the ability of more than 23,000 Arizonans who have been approved for DACA to get state-issued licenses. The most recent figures from ADOT show more than 10,000 licenses already have been approved since U.S. District Court Judge David Campbell voided the policy – the people Pregerson said have been driving without major incident. One question that could affect what the court rules is who the judges believe really implemented the policy. Draye said that it was Halikowski and not Jan Brewer — who was governor in 2013 when the policy was implemented — who made the determination that DACA recipients do not meet the legal requirements of the 1996 law. That’s a crucial point in the state’s case. That’s because Draye said federal courts, in general, are required to defer to how state officials interpret state statutes if they have a “reasonable basis” for that decision. But Berzon said there’s a problem to that argument. Draye told Berzon that still left Halikowski some discretion. But the judge didn’t read it that way. “She told him to do this unless there was some state or federal law that prevented it,” Berzon said. The other hurdle the state has to overcome is the conclusion that it was acting in a discriminatory manner. Draye acknowledged that until 2012 Arizona had issued licenses to anyone with a federal Employment Authorization Document, the exact same document that is provided to DACA recipients. It was only later the state concluded that only some categories of people with EADs who are not in the country legally should be licensed and some, like DACA recipients, should not. That distinction weighed heavily in Campbell’s ruling that the state’s action amounted to a violation of the Equal Protection Clause of the U.S. Constitution. The appellate court gave no indication when it will rule. It would appear that Arizona is going to lose this appeal. You should ask yourself why the state of Arizona continues to piss away your tax dollars defending Jan Brewer’s executive order. You will recall that during last year’s election, Democrat Fred DuVal called Gov. Brewer‘s action “mean spirited” and a “mistake,” and promised that if he was elected he would rescind the executive order denying driver’s licenses to “Dreamers.” Republican Doug Ducey said he backed Gov. Brewer’s 2012 decision. 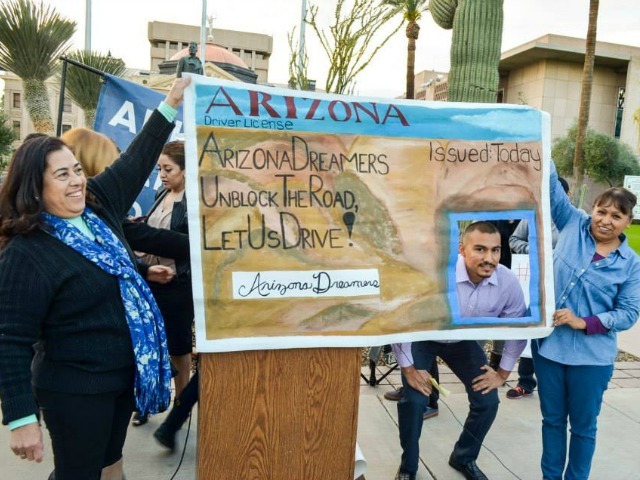 Ducey, DuVal divided on driver’s licenses for dreamers. At the time, 48 states allowed DREAMers DACA drivers licenses. Only Arizona and Nebraska were the holdouts. Nebraska has since given up its fight. Nebraska ends ban on driver’s licenses for immigrant youths (May 28, 2015). The cheese stands alone, Arizona is the only state that wants to deny DREAMers DACA drivers licenses. Ducey claims to be a smart businessman. Then he should know that it’s time to cut the state’s losses land to end this fruitless lawsuit. Rescind Gov. Brewer’s executive order. Do the right thing and prove that you are a better person than the hateful Jan Brewer.